Make a difference. Build a legacy! You value Wood Library today. Why not consider a gift that will enrich lives and help the library thrive in the future? The most common and simple way to establish a legacy is through a will bequest. Another simple approach is naming Wood Library as the beneficiary of a retirement asset or life insurance policy. Other options to consider for legacy gifts may be property or securities, or a deferred gift such as a charitable gift annuity or a trust. No matter what option you choose, your commitment today will make a big difference for our community library in the future! Wood Library’s Federal Tax ID# is 16-0755896. Join the Charles A. Loomis Legacy Society. The Charles A. Loomis Legacy Society was established to ensure Wood Library’s future financial stability and continued excellence through planned gifts. Members have included Wood Library in their charitable-giving plans. The Society was named for Charles A. Loomis who is recognized as the first person to endow a gift to Wood Library in 1897. Members value the library and its role in the community, and they want it to thrive. 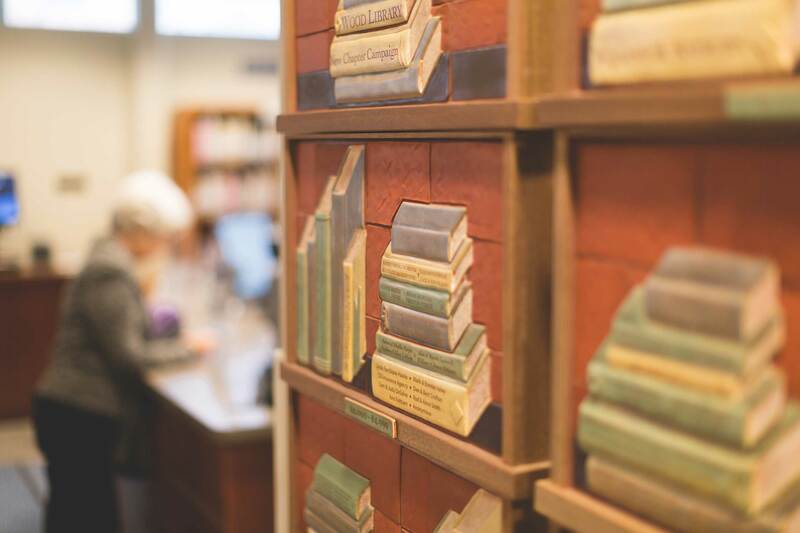 Through individualized planned gifts, Legacy Society members create a stable financial future for Wood Library and a personal legacy that will last forever. With careful planning, you can create a Legacy gift that will have a lasting impact. In addition to the financial flexibility and tax benefits offered, legacy gifts give you an opportunity to make a difference during and beyond your lifetime. Seek out advice from a trusted financial adviser or attorney. Once you have made some decisions, let us know so we can invite you to special events and list your name in the Annual Report to the Community. Contact Jenny Goodemote or Maria Bucci at the phone numbers listed to the right if you need more information.